What are the new trends in grocery retail? Amazon Prime Day occurred this past Tuesday, one year after the first wildly successful Prime Day, when the Internet went a bit crazy and people started buying things from Amazon like it was Cyber Monday. This time they went even crazier, to give Amazon it’s biggest shopping day ever. And what were the top selling items? Cereal and toothbrushes were much higher on the list than you might expect. This got us to thinking about some of the new trends we’re seeing in retail, especially among grocery retailers, and how they can affect us as both consumers and retail industry professionals. Imagine a self-service grocery store that has no staff and no checkout. You unlock the store’s doors through a mobile app, scan the products you want to buy — milk, bread, canned goods, pre-prepared meals — and you pay a monthly bill based on your purchases (also via the app). The first no-staff grocery store was launched in Viken, Sweden, a few months ago by Robert Ilijason as a way to provide 24-hour store access to remote areas. His goal is to have a low cost store where people can enter, buy their groceries (no alcohol or cigarettes), and then leave again, all at a time that is convenient for them. The latest no-staff store to open is in New Prague, Minnesota. According to the owners of the new Farmhouse Market, no-staff stores enable rural customers to purchase healthy, local food at affordable rates. Have you ever been in the airport and seen retail vending machines that sell headphones, iPods, and even digital cameras? Imagine being able to buy some necessities or restaurant food in a vending machine as well. We found another article about different food vending machines popping up around the world, including a milk vending machine in Greece, an egg vending machine in Hamburg, Germany, and a grocery vending machine in Clifton, UK, which has been without a local shop for 13 years. I’m sure vending machines won’t replace grocery stores, but it could be a great way to serve under served and remote areas, or offer easy access to local items to commuters. Anyone who’s ever had to drive more than 30 miles for groceries knows how important this can be. So you can’t make it to your local no-staff grocery store, and your favorite retail vending machine is out of your favorite type of lettuce. Enter Amazon Fresh. This is a same-day grocery delivery service from the e-commerce giant. Amazon is already offering same-day shipping in several cities around the U.S., so why not add groceries to the list? For a $299/year membership ($200 + $99 Amazon Prime membership), you can have an assortment of fresh produce, gourmet foods and even basic necessities like coffee, milk and eggs delivered right to your house the next morning. It’s only available in a few cities right now, as it’s being tested, but Amazon has plans to expand over the next few years. Every other part of the retail industry has been changed by digital and Internet technology. Food is harder to change because of the different channels and variety. But I think digital will eventually transform how we buy our food, especially as Millennials look to their phones to manage their busy lives. 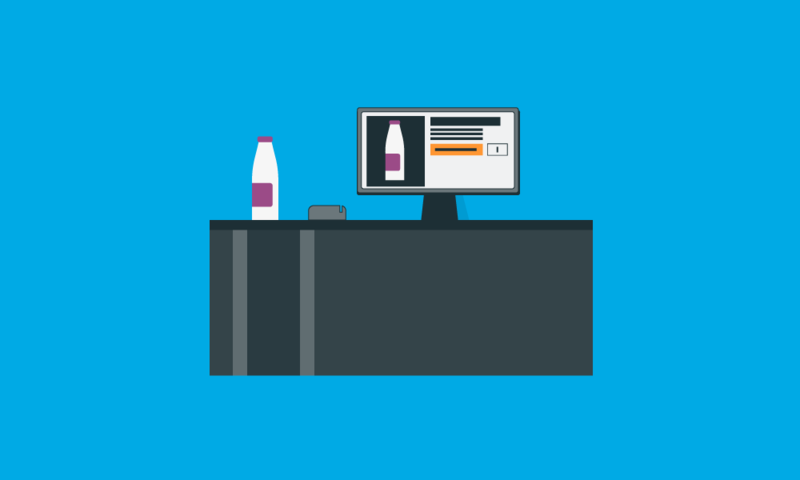 If you want help keeping up with the big changes in grocery retail, please visit the SPS Commerce website and read our case studies to see how your peers are using the latest supply chain technology to excel.